Zarina Wahab (born 17 July 1956) is an Indian actress who was critically acclaimed for starring roles, in Chitchor and Gopal Krishna in the 1970s. She has also appeared in Malayalam films including the critically acclaimed Madanolsavam , Chamaram , Palangal and Adaminte Makan Abu . Chitchor is a 1976 Indian Hindi romantic musical film, written and directed by Basu Chatterjee. The film's title means "Heart Stealer" in Hindi. The film is a Rajshri Productions film produced by Tarachand Barjatya. It is based on a Bengali story, Chittachakor by Subodh Ghosh. K. J. Yesudas and Master Raju won the National Film Awards 1976 for Best Male Playback Singer and Best Child Artist respectively. Gopal Krishna is a 1979 Bollywood religious film directed by Vijay Sharma. Madanolsavam is a 1978 Malayalam film written and directed by N. Shankaran Nair and starring Kamal Haasan and Zarina Wahab in the lead roles. Dialogues and comedy scenes were written by Adoor Bhasi. The film was dubbed into Tamil as Paruva Mazhai and into Hindi as Dil Ka Sathi Dil. The film was remade in Telugu as Amara Prema by T. Rama Rao with Kamal and Zarina reprising their roles from the original. Wahab was born in Visakhapatnam, Andhra Pradesh into a Muslim family. She is fluent in Telugu,  Urdu (her mother tongue), Hindi and English. She was trained at Film and Television Institute of India (FTII), Pune. Wahab has three sisters and one brother. After receiving negative feedback about her appearance from film producer Raj Kapoor, Wahab worked on her appearance and attended film parties and events. She eventually got noticed and was cast in films. She was usually cast as the middle-class, natural beauty. Wahab appeared in Basu Chatterjee's Chit Chor (1976). Apart from this, she worked in Amol Palekar-Vijayendra starrer Agar', followed by the Raj Babbar-starrer Zajbaat, the Arun Govil-starrer Sawan Ko Aane Do, the Vikram-starrer Raees Zada etc. She earned a Filmfare Award nomination as Best Actress for her role in Gharonda (1977). She has acted in Malayalam, Telugu, Tamil, films. Basu Chatterjee is an Indian film director and screenwriter. Through the 1970s and 1980s, he became associated with what came to be known as middle cinema or middle-of-the-road cinema, with filmmakers such as Hrishikesh Mukherjee and Basu Bhattacharya, whom he assisted in Teesri Kasam (1966). Like their films, his films also dealt with light-hearted stories of middle-class families often in urban settings, focusing on marital and love relationships, with exceptions such as Ek Ruka Hua Faisla (1986) and Kamla Ki Maut (1989), which delved into social and moral issues. He is best known for his films Us Paar, Chhoti Si Baat (1975), Chitchor (1976), Rajnigandha (1974), Piya Ka Ghar (1972), Khatta Meetha , Chakravyuha , Baton Baton Mein (1979), Priyatama(1977), Man Pasand, Hamari Bahu Alka, Shaukeen (1982), and Chameli Ki Shaadi (1986), which was his last commercially successful movie. Calendar is a 2009 Malayalam romance film starring Mukesh, Navya Nair, Zarina Wahab and Prithviraj Sukumaran, Prithviraj's real-life mother Mallika Sukumaran, Jagathi Sreekumar. Wahab met actor Aditya Pancholi on the sets of Kalank Ka Tika. Pancholi is 6 years her junior. They married in 1986 and have a daughter, Sana and son Sooraj. News of their turbulent marriage, her husband's temper and rumors of infidelity have been in the gossip columns. Wahab's daughter is an actress. Her son, Suraj, was arrested in June, 2013, for aiding and abetting the  suicide of his girlfriend, Jiah Khan. He made his Bollywood debut with Sunil Shetty's daughter Athiya Shetty in 2015 in the movie Hero . 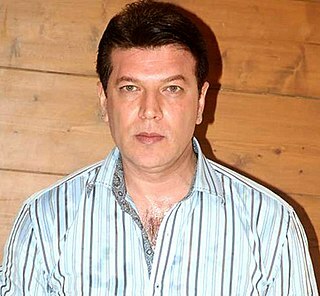 Aditya Pancholi is an Indian film actor, producer and playback singer who appears in Bollywood films. 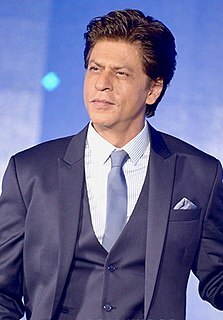 He started his career as a lead actor, though he found more success with supporting and villain roles and received a Filmfare nomination for the Best Performance in a Negative Role for Yes Boss (1997). Jiah Khan was a British-American actress and singer who appeared in three Hindi films from 2007 to 2010. Sunil Veerappa Shetty is an Indian film actor, producer and entrepreneur who is predominantly active in Bollywood films. In a career spanning more than 25 years, he has acted in more than 110 films. His major works have been action and comedy films. He has also acted in Malayalam, Tamil, and English language films. His debut Kannada movie Pailwan starring Sudeep is set to be released in 2019. He has received a Filmfare Award out of five nominations. Urmila Matondkar, is an Indian film actress and television presenter primarily known for her work in Hindi films, in addition to Marathi, Telugu, Tamil, and Malayalam language films. She is the recipient of numerous accolades, including one Filmfare Award among seven nominations. Her film roles contributed to a then-new on-screen persona for a Hindi film heroine, in which she was known for her intense style and dancing skills. Having done so, Matondkar has established herself as a leading actress of Bollywood. Samyuktha Varma is an Indian film actress, who has appeared in Malayalam films. She made her debut in 1999 as the heroine in Veendum Chila Veettukaryangal, since then she has acted in a total of 18 films. She has received two Kerala State Film Award for Best Actress. She married actor Biju Menon in 2002. Rati Agnihotri is an Indian actress whose films are mainly in Hindi, Tamil, Telugu and Kannada. Madhavi Sharma is an Indian film actress known for her works in Telugu, Malayalam, Kannada, Hindi, Tamil and Oriya cinema. In a career spanning seventeen years, she has acted in around three hundred films. She was one of the top actresses from 1976 to 1996 in Telugu & Tamil films. Priya Vasudev Mani Iyer, professionally credited as Priyamani, is an Indian multilingual film actress and former model, who works in Kannada, Malayalam, Tamil, Telugu and Hindi language films. She has established a career in regional Indian films, and is the recipient of a National Film Award and three Filmfare Awards in different-language films. Salim Kumar is an Indian film actor, director and writer in Malayalam cinema. He won the National Film Award for Best Actor in 2010 for his role in Adaminte Makan Abu. His directorial film Karutha Joothan won the 2017 Kerala State Film Award for Best Story. He has also won the Kerala State Film Award for Second Best Actor for Achanurangatha Veedu (2005) and a Kerala State Television Award for Best Actor (2013). Gharonda is a 1977 Hindi film, produced and directed by Bhimsain Khurana. the film stars Amol Palekar, Zarina Wahab, Shreeram Lagoo and Jalal Agha. The music is by Jaidev. Rakta Charitra is a 2010 Indian biographical political action thriller based on the life of Paritala Ravindra. The film was directed by Ram Gopal Varma and written by Prashant Pandey. The film was nominated for Stardust Readers Choice Award for Best Direction — Action/Thriller. 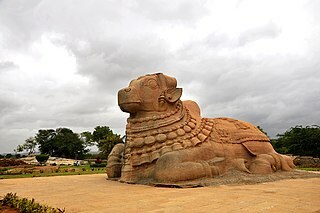 The second part was dubbed into Tamil as Ratha Sarithiram in a single part. The film starred Vivek Oberoi as Pratap Ravi, and Suriya as Suri in lead roles, while Sudeep, Shatrughan Sinha, Abhimanyu Singh, Kota Srinivasa Rao, Sushant Singh, Radhika Apte and Priyamani play supporting roles. Saranya Ponvannan, also known as Sheela Christina Raj, is a popular South Indian film actress who has predominantly appeared in Tamil, Telugu, Malayalam language films and a few Kannada language films. Saranya made her debut in a lead role in Mani Ratnam's Nayakan (1987) and went on to play lead roles from 1987-1996. Following an eight-year sabbatical, she returned to films as a character actor, specializing in "mother of the hero" roles. Adaminte Makan Abu is a 2011 Indian drama film written, directed and co-produced by Salim Ahamed; it is his debut. It stars Salim Kumar and Zarina Wahab in the lead roles with Mukesh, Kalabhavan Mani, Suraj Venjarammoodu, and Nedumudi Venu in supporting roles. The cinematography was handled by Madhu Ambat and it was edited by Vijay Shankar. The film features songs composed by Ramesh Narayan, and the score is by Isaac Thomas Kottukapally. Hero is a 2015 Indian romantic action film directed by Nikhil Advani and co-written by Umesh Bist, a remake of Subhash Ghai's directed 1984 film of the same name, which stars Jackie Shroff. The film starred Sooraj Pancholi and Athiya Shetty, son of actor Aditya Pancholi and daughter of actor Sunil Shetty respectively. Aditya Pancholi has an important role in the film himself. Satellite Shankar is an upcoming 2019 Indian Hindi romantic action drama film written and directed by Irfan Kamal. The film stars Sooraj Pancholi and Megha Akash in the main lead roles. The film is bankrolled by T-Series co-producing with Cine 1 Studios. The film is based on the life of Indian soldiers and the principal photography of the film officially commenced in around 3 September 2018. This marks the first ever Bollywood film ever to have shot in across more than 10 states of India from North to South. The film is scheduled to have its release on 5 July 2019. ↑ "Inspiring story of Zarina Wahab: Wonder Woman - Who are you today?". intoday.in. Retrieved 22 February 2015. ↑ "First batch looks back at good old days TNN,". The Times of India . 2010-03-21. ↑ Zarina Wahab. Parinda.com. Retrieved on 2012-09-29. ↑ 1st Filmfare Awards 1953. Deep750.googlepages.com. Retrieved on 2012-09-29. 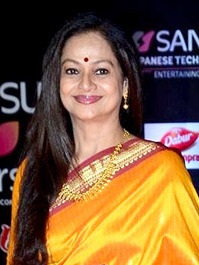 ↑ "Profile of Malayalam Actor Zarina Wahab". En.msidb.org. 2009-01-26. Retrieved 2015-12-23. ↑ "Adaminte Makan Abu ". En.msidb.org. 2009-01-26. Retrieved 2015-12-23. ↑ The Sunday Tribune – Spectrum – Television. Tribuneindia.com (2004-02-08). Retrieved on 2012-09-29. ↑ The Tribune, Chandigarh, India – Chandigarh Stories. Tribuneindia.com (2003-10-30). Retrieved on 2012-09-29. ↑ Adityas rishta with Kangana Archived 20 July 2011 at the Wayback Machine . Entertainment.oneindia.in (2006-05-03). Retrieved on 2012-09-29. ↑ DNA – After Hrs – ‘I have a short memory for bad things’ – Daily News & Analysis. Dnaindia.com (2006-07-03). Retrieved on 2012-09-29. ↑ City Times – To be or not to be... like mum?. Khaleejtimes.com (2007-03-23). Retrieved on 2012-09-29. ↑ "Jiah Khan's Boyfriend Sooraj Pancholi Arrested on Suspicion of Abetting Her Suicide". People Magazine. Associated Press. Retrieved 11 June 2013. ↑ Taran Adarsh [@taran_adarsh] (16 February 2019). "IT'S OFFICIAL... Zarina Wahab to portray PM Narendra Modi's mother and Barkha Bisht Sengupta to enact the part of his wife in the biopic #PMNarendraModi... Stars Vivek Anand Oberoi... Directed by Omung Kumar... Produced by Suresh Oberoi and Sandip Ssingh... Official look: t.co/KdbBLN7ujI" (Tweet) – via Twitter.